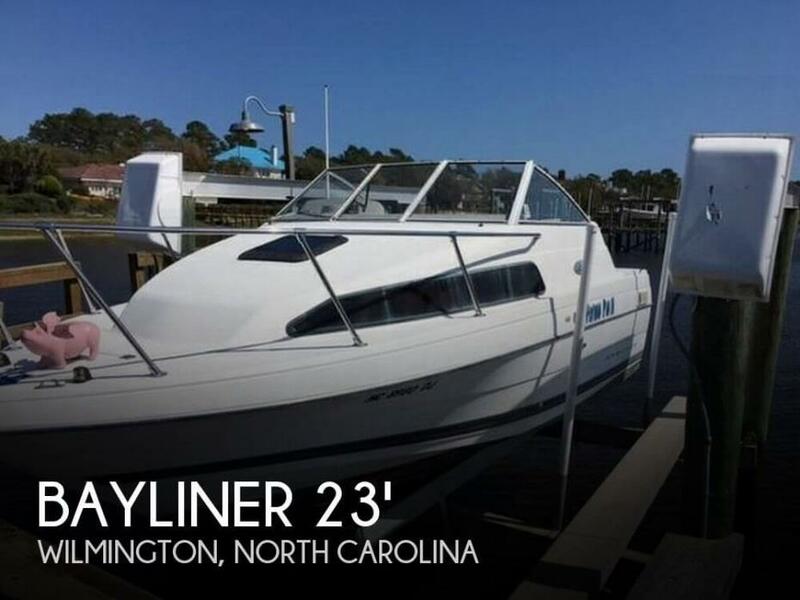 1992 Bayliner 2252 1992 Bayliner, accessories include: Compass, depth finder, VHF radio, Spare prop, Cockpit cover, Bimini top, Side curtains, Windlass,Block ice Refrigerator, fish box, porto poti, sink, and a V-berth table. 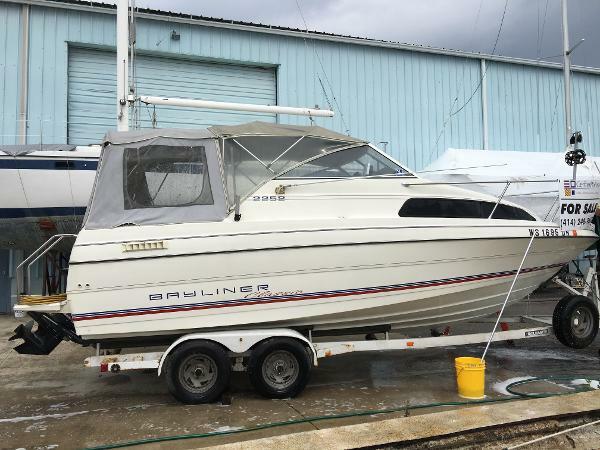 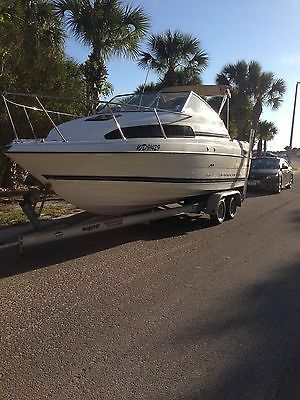 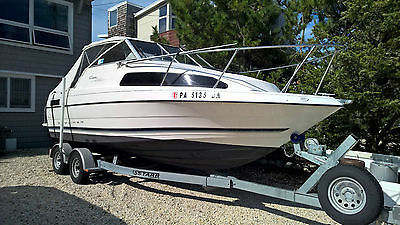 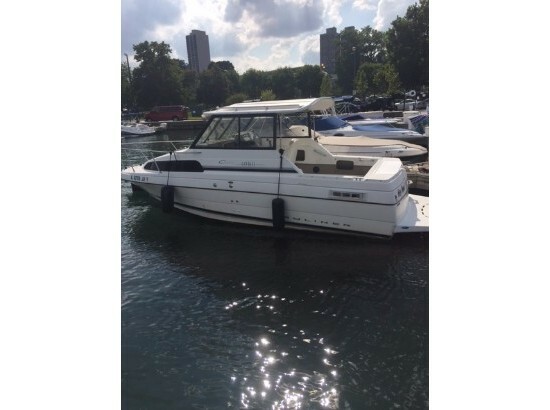 2000 Bayliner 2252 Ciera. 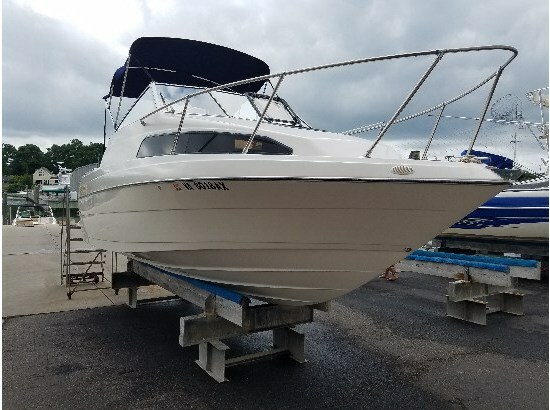 All of the fluids have been changed in the last year. 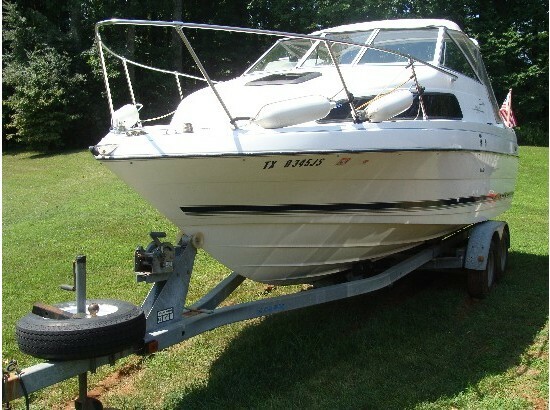 There was a complete replacement of the bellows, gimble bearing, lube lines and shifter cable at the end of this summer. 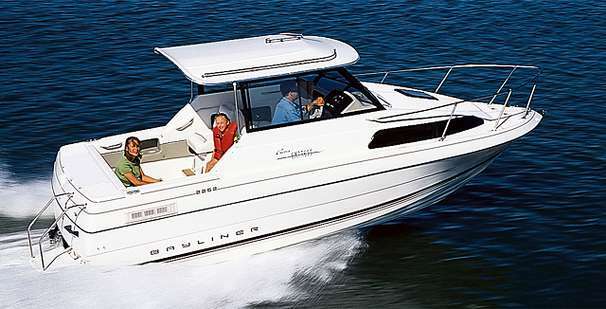 The boat gets on plane quickly and is great for water sports, cruising and fishing. 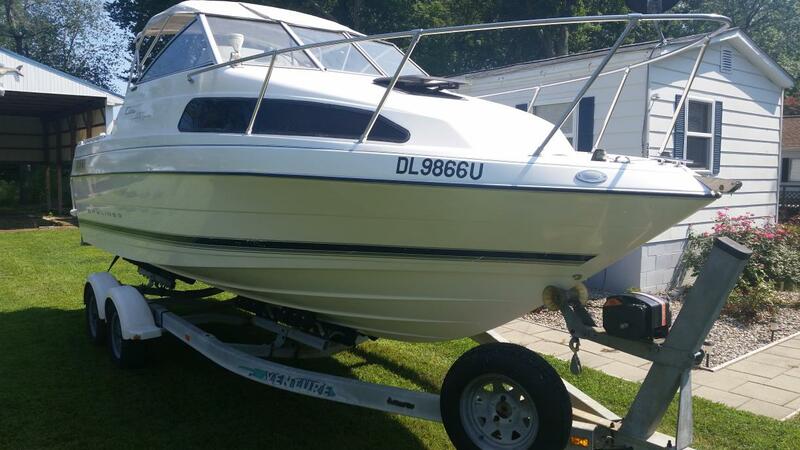 The boat has only been used in fresh water. 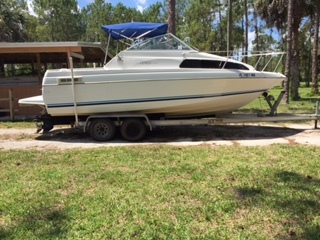 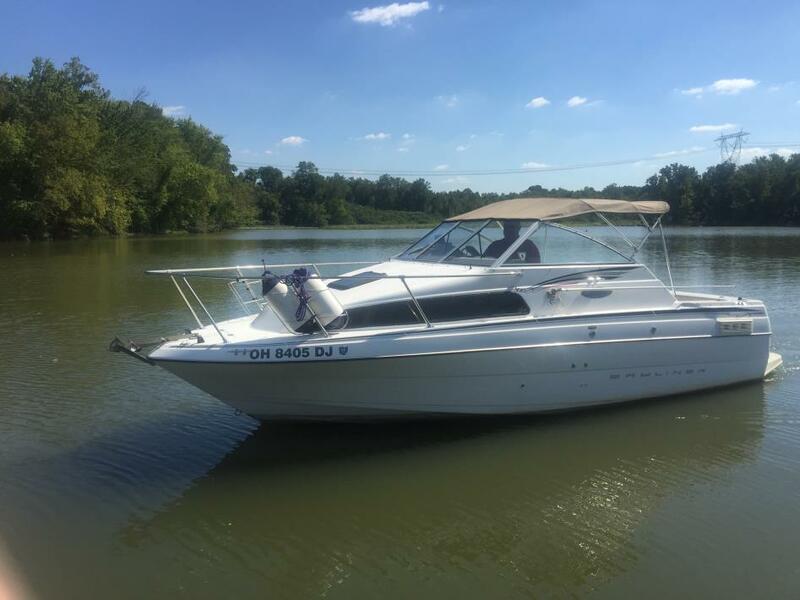 Some of the features of the boat are: 5.0 L Mercruiser, 55 Gallon fuel tank, Cuddy cabin - sleeps 2 comfortably - converts to sitting table, 13 Gallon water holding tank, Hand washing sink, Marine toilet with holding tank and dockside pump-out, propane stove, lots of storage, CD Player/AM/FM radio/XM radio, 4 Speakers, Dual batteries with selector switch, raw water washdown, automatic bilge pump, bimini top, canvas camper cover, swim ladder, bow anchor locker with overboard drain, trim tabs, Lowrance LMS525CDF color fish finder/GPS/chart plotter, Hummingbird 565 fish finder, Ritchie V537 dash mount compass. 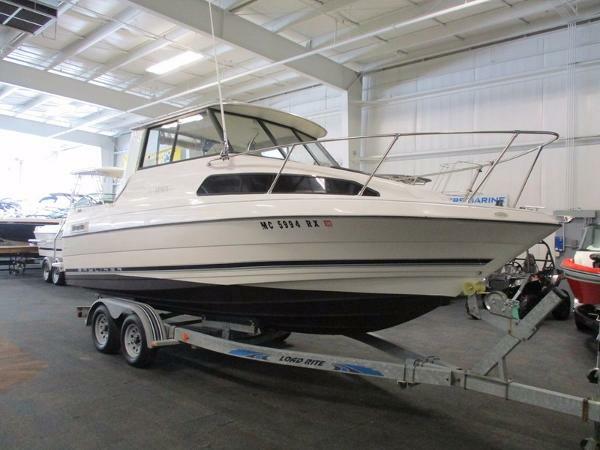 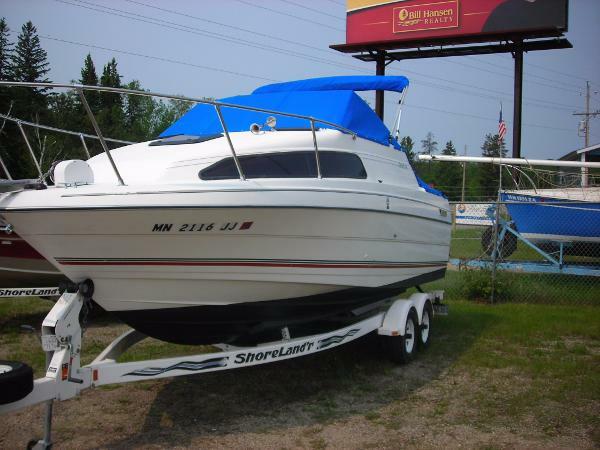 The boat is very clean, the interior is in great shape, and the engine runs excellent. 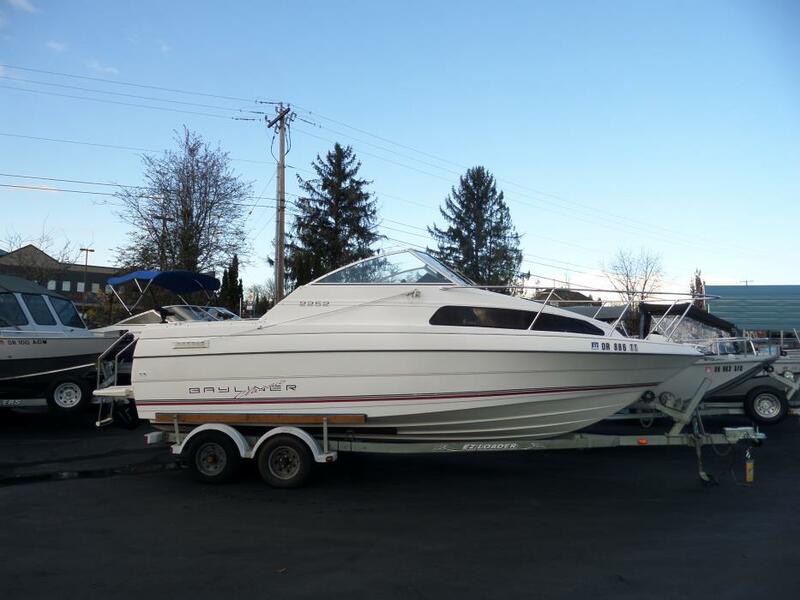 The included trailer is a 2008 Load Rite 5 Star complete with tandem axels and 4 disc brakes, tongue jack, spare tire and carrier.